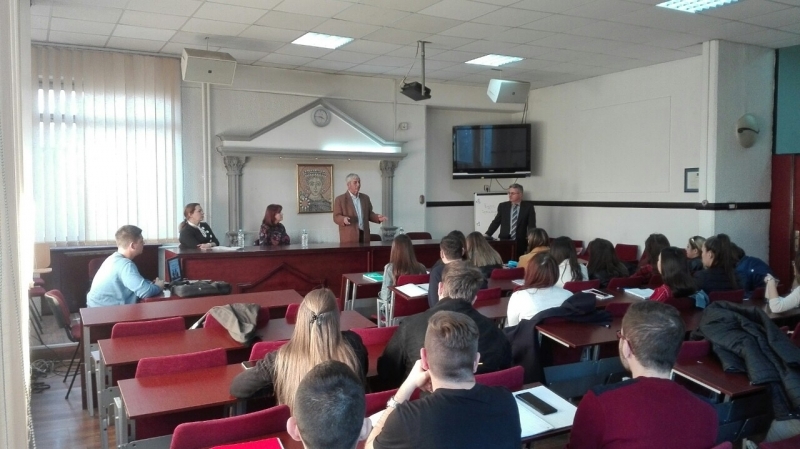 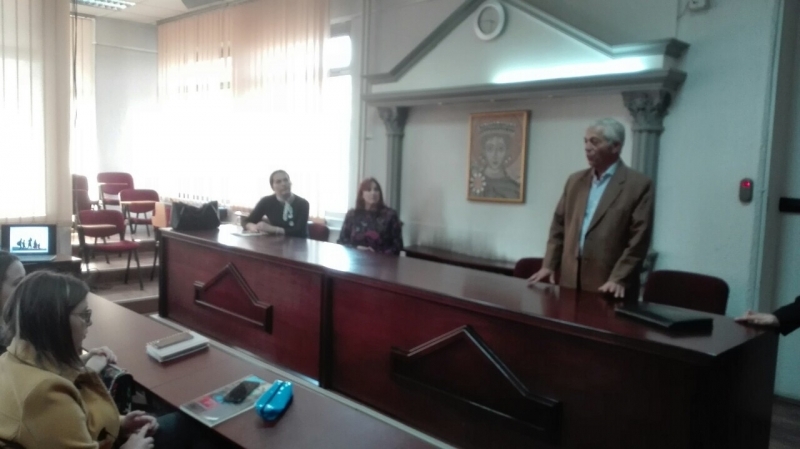 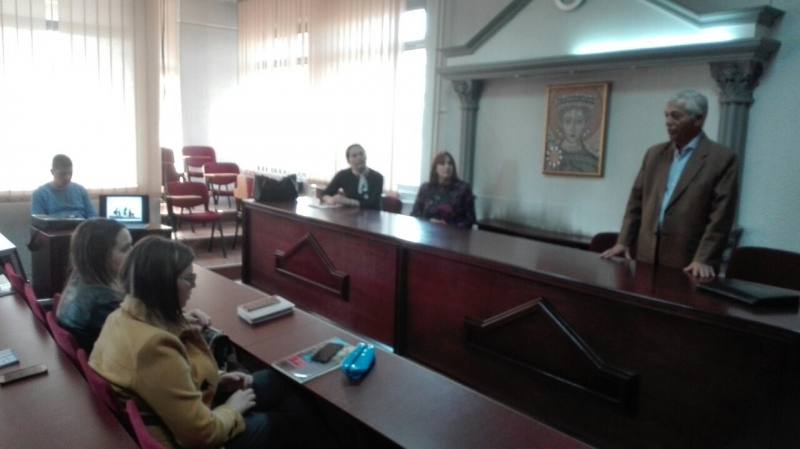 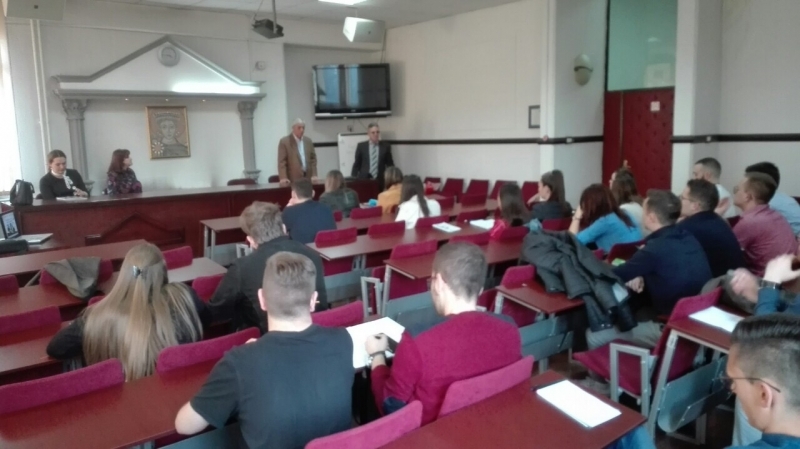 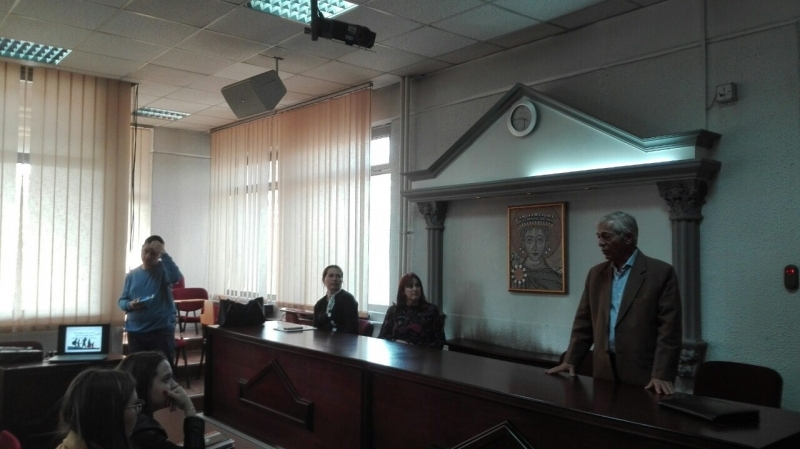 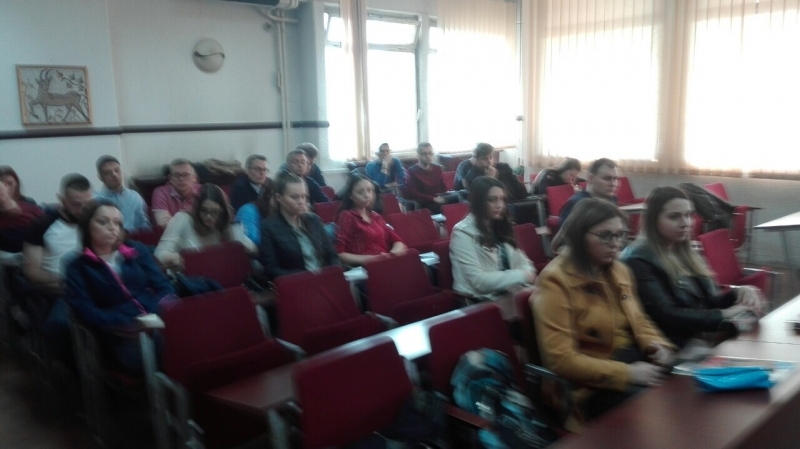 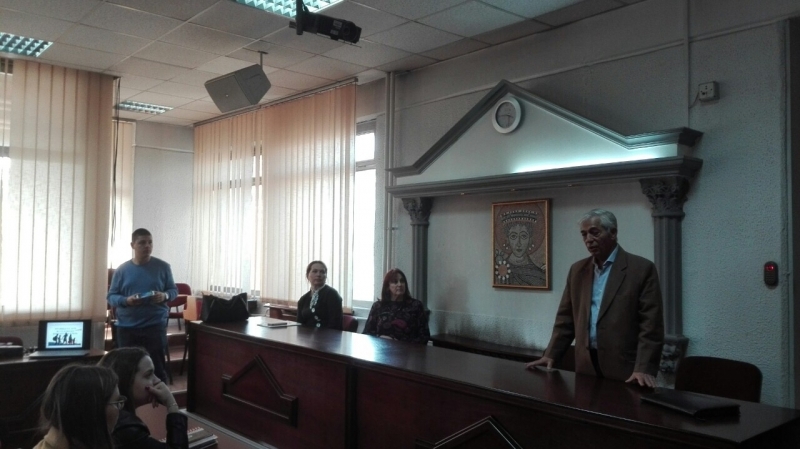 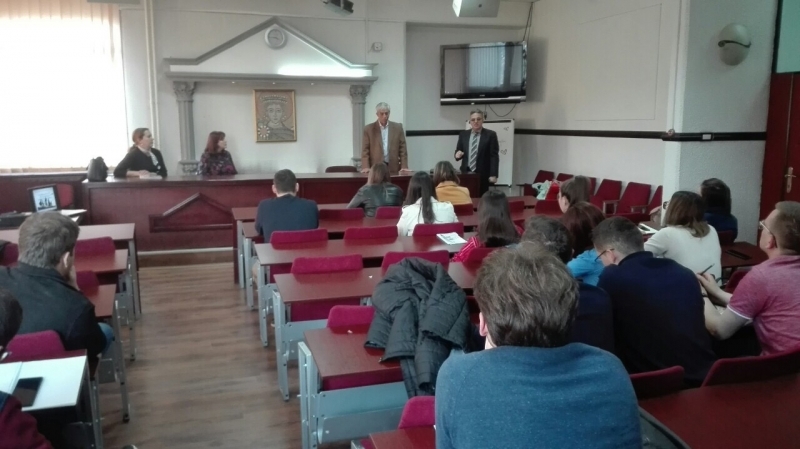 On March 29, 2019 the ABA ROLI Office in Skopje, organized a lecture on the Macedonian CPC with the Faculty of Law “Iustinianus Primus” Skopje, and the Public Prosecution Office for Prosecuting Organized Crime and Corruption. 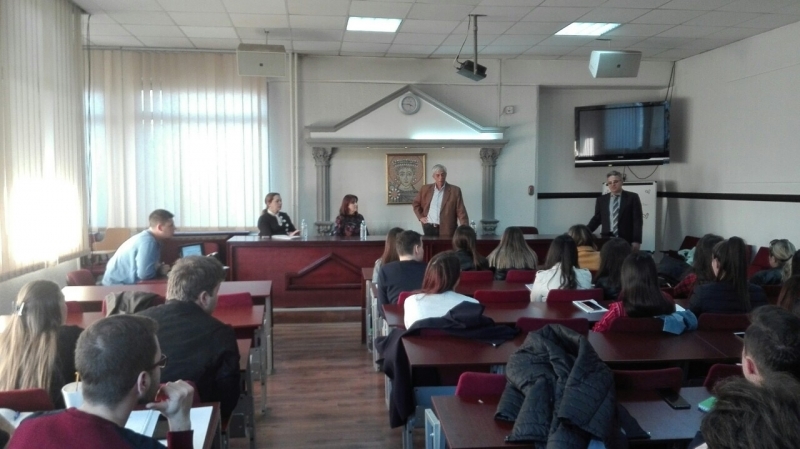 The lecture focused on organized crime issues, such as human trafficking and migrant smuggling. 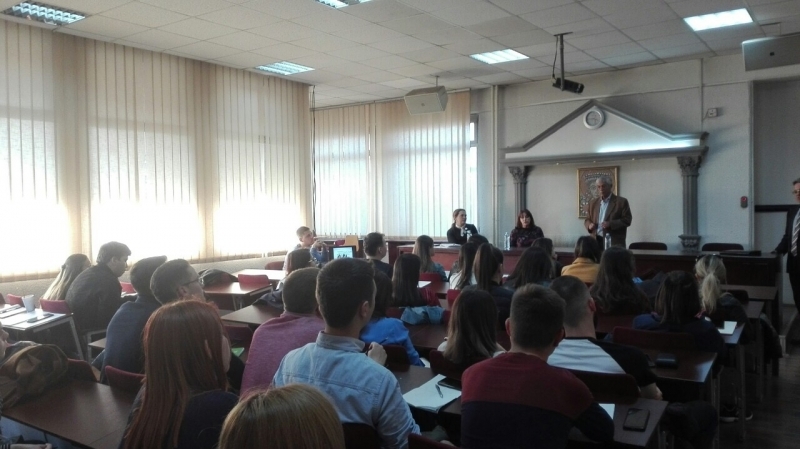 The presentations during the lecture were held by Mr. Daniel Linhardt, Legal Specialist at the ABA ROLI Office in Skopje, as well as Ms. Maja Koneska, Public Prosecutor for Organized Crime and Corruption. 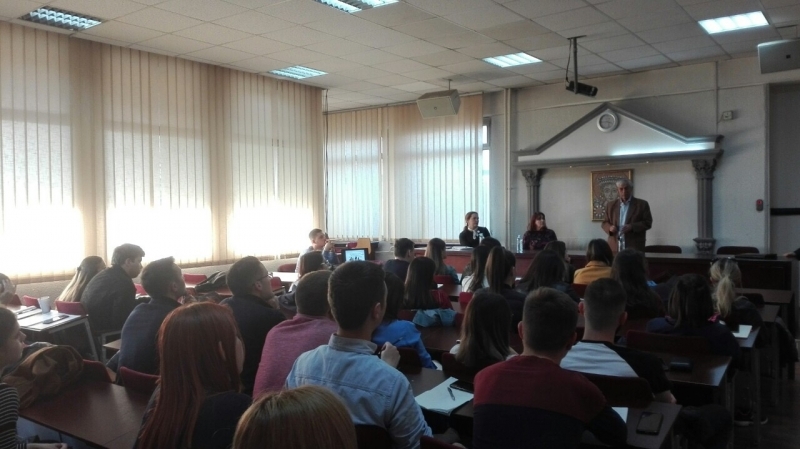 Mr. Linhardt focused his presentation on critical points in the Macedonian CPC, comparing laws from the region (Serbia, Albania, Kosovo, and Bosnia and Herzegovina) in terms of plea bargaining and cooperation between the prosecution and defense attorneys. 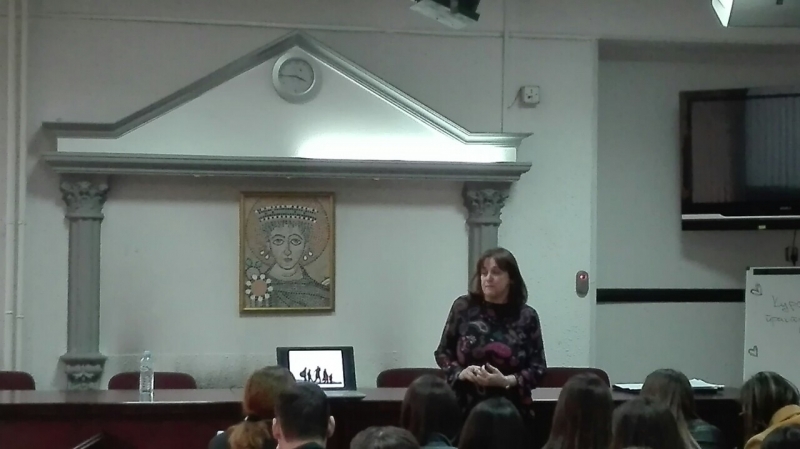 Ms. Koneska on the other hand, focused her presentation on case studies of migrant trafficking, and gave an in-depth elaboration on the procedures the Public Prosecution Office undertakes in such cases.